Question: Why did you choose to write? Is it for the money? An important question. Writing is not a get rich quick scheme. Certainly, there is nothing wrong with seeking to earn a few buck from your writing. I must confess that it was a pleasant surprise when people began to buy my books and actually enjoyed the stories I’d written. I just like to tell stories. So, the question for me was, how do you know people are enjoying your books? It is one thing to tell the tale! It is quite another thing when people truly enjoy your tales. Probably for me, a reader’s enjoyment is the biggest motivation behind why I write. Question #2: How do you know people enjoy your writing. I think this question is answered in several ways. Talking to your readers and asking them for their thoughts on your book is one thing I have done. When a reader takes the time to write a review for something you wrote, that really means something. 2) Or, they liked your story enough to take the time to say so. The Few, the Proud, the Marines! I really loved this review of Serpents Underfoot because it is from a USMC veteran. Getting a 5 Star Review from a USMC veteran for a book that includes all branches of the U.S. military including the Coast Guard, really meant something special to me. Marines are not noted for lightly giving out praise which is why this review does mean so much! This 5 Star Review of Adirondack Bear Tales made me chuckle. This reader obviously enjoyed the stories and even took the time to write a carefully crafted and entertaining review! Very cool! And, very much appreciated. Reviews like this are one of the main reasons I enjoy writing. This reader clearly enjoyed this short collection of bear tales from the Adirondacks! Pursuing reviews for the sake of pursuing reviews is probably not the best use of your time as a writer. Above all, you need to be writing. However, it doesn’t take too many reviews such as these to give you a good feeling about what you are doing! In addition, reviews such as these can be very motivational! To read other posts on DC Gilbert’s blog … click here! Authors Often Need Resources. Fiverr Can Help! New authors are often overwhelmed with all the things involved with finishing that first book. 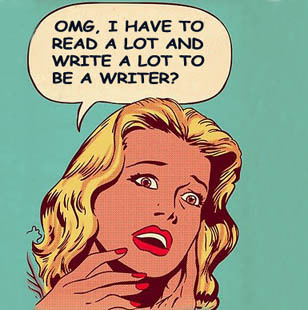 Are you an aspiring author? Do you have all the resources you need to make that first novel a success? Let me turn you on to a great site if you don’t already know about it. Fiverr.com is an online community of creative people. There are folks who do graphics and designer, digital marketing, writing and translation, music and audio, programming and tech, business, and fun and lifestyle. The name Fiverr probably stems from the fact that most sellers have a base gig that only costs $5. I first heard of Fiverr during an online webinar given by Alice Osborn, a Writer/Editor. The webinar was on social media marketing for self-published authors. While Fiverr was not a topic of the webinar, Alice Osborn did mention that she used Fiverr for her own projects. I was intrigued and decided to check Fiverr out. At the time, I was coming along on my first novel, Serpents Underfoot. I had written an author’s bio and a book description. As I perused Fiverr, I discovered a seller who wrote book descriptions designed to help you sell your books. I went a head and ordered a $5 book description to see what this seller was doing and how my book description compared to his. It was a learning experience. The seller’s book description was good. No problem there. I even gave him a tip. I discovered, however, that is was really no better than mine. So, after thinking about it for a few days, I set up a sellers account and started doing book descriptions. I have since added two other gigs. I have written about 16 book descriptions so far. The have included books on deer hunting, slow cooker recipes, gall stone remedies, dark poetry, adult coloring books, Various self-help books and various works of fiction. I started the second gig a bit later writing martial arts fight scenes for other writers. Because of my long history of karate training, I seem to have a knack for writing pretty realistic fight scenes with sound karate technique. I have done three so far and have enjoyed doing them. I create a third gig which involves editing the work of other, but so far … no takers. What qualifications do I have? Well, for one … I think I could read before I could walk. My parents instilled in me a real love for reading. As a result, I have read my whole life. Starting with Dr. Seuss and moving on to history, military history, historical fiction, fantasy, sword and sorcery, I also like to write and have written most of my life as well. 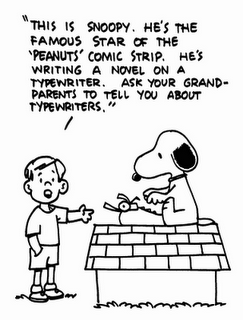 As a youngster, I even enjoyed playing on a typewriter! As a student, I enjoyed doing papers in school and always got good grades on writing assignments. When I attended college, I took many literature courses including Old English literature, Russian Literature and a technical writing course as well. I received excellent grades on any paper I did including my Master’s thesis. I have written several student training manuals for the dojo I owned and ran for about twelve years. Any dojo marketing materials were also written by me. I’ve had several letters to the editor published in the Clinton Courier as well as the Daily Beacon, the student publication for the University of Tennessee in Knoxville. I have technical documentation for processes in several of the jobs I have worked. For the last 12 years or so, I have also been a blogger. I started with a conservative blog, which was eventually rolled into this current website/blog. I guess I may have mellowed a bit over the years. While I am still pretty darn conservative, I try to see other view points and to also blog about non-political things such as writing, books reviews, and my German Shepherd, Sophie. My Novel, Serpents Underfoot, is in its final editing stage and will be released this fall. I plan to release it as a paperback, a hard copy and on kindle as well. Once that is underway, I currently have plans for three more books. While I do not want to give too much away, my next project is going to be a collection of letters from WW II. No, I did not write the letters. But the letters are real, and they a beautiful to read. They are letters written between a GI stationed in Japan during General MacArthur reconstruction period and his wife at home with their young son. These letters offer a look at a period of time many of us have forgotten about. It was a tough time, a time of sacrifice and hardship. But, is was also a time of love, caring, and looking out for other people. Then I have plans to do a book on what it was like growing up as a stutterer. Last, I have an in progress Isshin-ryu Karate history and training manual I need to complete. Then, who know … I may circle back and do another adventure in the life of the main character in my novel. What does these last few sections have to do with Fiverr? Not a whole heck of a lot, except for the confidence writing as a seller on Fiverr has given me. I am finding out that people actually like what I write. So far, I have completed 19 Fiverr gigs and am working on my 20th. I have 18 reviews, 16 of which were 5 Star, one was a 4 1/2 Star, and one a 4 star. That is the motivation I mentioned earlier in this post. Fiverr provides tools and motivation. So, for all you aspiring authors out there … Fiverr just may be a great place to start.